George “Buck” Cire, the founder of Cire Law Firm, was born in Houston and earned his bachelor’s and law degrees from Texas universities. He started his legal career in Houston and proudly has served his community for 30 years. Mr. Cire worked for Koomey Inc., an oil rig equipment company in Houston, after college graduation. This experience taught him the rewards and risks of performing manual labor. The difficulties his colleagues endured when they suffered an injury inspired him to help. 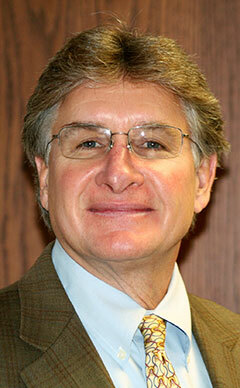 Mr. Cire has concentrated on plaintiffs’ personal injury recovery since he started practicing law in 1986. Mr. Cire serves Houston, Beaumont, Fort Bend and Harris and Montgomery counties. He is focused on litigation solutions. Often he can settle claims, which typically reduce costs and increases compensation for clients. However, he is ready and prepared to take cases to trial. Attorney Cire is not only comfortable and competent in the courtroom, but also he really likes being there, which makes him a dynamic trial lawyer. Mr. Cire litigates a wide variety of claims, and during the past decade, he has represented victims of sexual abuse in claims against the church. Darcy McMillan is a legal secretary and paralegal at Cire Law Firm. Her more than 30 years of experience has added tremendous value to our firm and to our clients. She works closely with Mr. Cire to ensure that our cases run smoothly and that our clients receive the personal attention and quality legal counsel they deserve. For help resolving your legal issues, call Cire Law Firm at 713.532.6206 or contact us online. We offer a free initial consultation and are available to 24/7. Our law firm is conveniently located in the Galleria area just off the 610 Loop in Houston and serves Fort Bend, Harris, Montgomery and Jefferson counties.